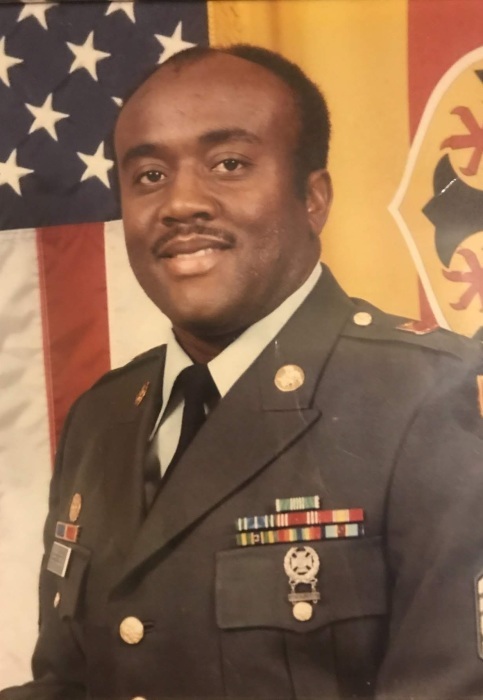 William Bridges, Jr., 68, of 7582 Fox Fern Drive, Fayetteville, died Tuesday, November 27, 2018 at Cape Fear Valley Medical Center in Fayetteville. Funeral services will be conducted on Thursday, December 06, 2018 at 12:30pm at Herring Funeral Care & Cremations Chapel. Burial will follow in Sandhills State Veterans Cemetery, Ft. Bragg with full military honors. He is survived by his wife, Rubye Bridges of the home. Children, Tonia Bailey (Louis) of Fayetteville, Latoisha Bridges (deceased) and Stephanie Williams of Raleigh.Sisters, Wilhemia Taylor, Juanita Bridges, Carolyn Bridges and Anita Hardy all of Raleigh. Brother, Johnny Bridges of Raleigh and three grandchildren, Brianna Bailey, Tiarra Bailey and William Taveon Bridges. A viewing will be held on Wednesday at the funeral home from 5-7pm.